Some of the most creative projects I’ve seen in my years of sewing and blogging have been made from scraps. I’m super excited to share a few of them with you today! Carolyn, sewer extraordinaire who blogs at Handmade by Carolyn, has made quite a few scrappy projects since I’ve been following her blog. Recently, she sewed a linen dress and added a band of her own piece work and bias-bound neckline made of cotton scraps. Devra of Puu’s Door of Time was inspired by a modern patchwork book. She raided her silk scraps to piece together the front of Datura blouse and the results are just incredible! This next project is a scrappy sewing with an infusion of refashioning. Yoshimi used 4 unwanted pairs to create a new pair, and they’re just the coolest. She made them in 2010 and I still think about them. Katherine from Bloom’s Endless Summer recently mixed prints, texture and color like a pro in her tank from scraps. She was inspired by the desire to minimize her scrap stash before a move. Have you seen any other fantastic scrap projects in the sewing blog community lately? Nice outfits! 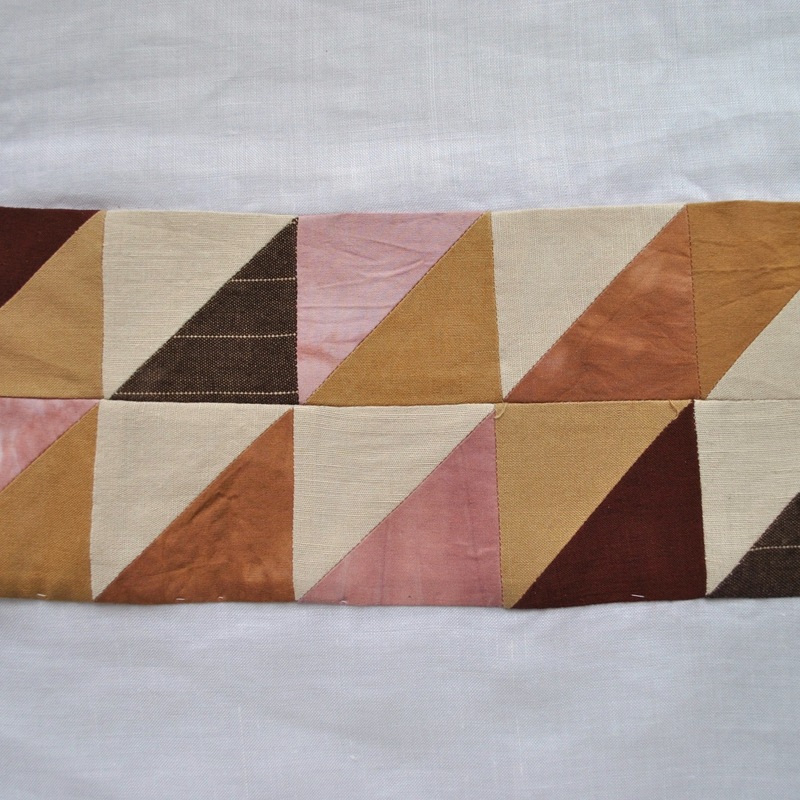 I had never thought about sewing with scraps until I saw these posts about it. I should see what I’ve got! You might strike gold in your scrap bin! I <3 this post bigtime!